Dirty Diamonds #10: Death is OPEN for submissions! Download the full-size flyer right here. Please read the following before submitting. Death. Darkness. Closure. Endings. Passing. Finality. Loss. Silence. Mortality. Rest. Rebirth. ...Or anything else related to YOU and the subject of "DEATH." * Thumbnails and visual aids that will help us understand the direction of your comic, such as the plot, dialogue notes, layouts, pencils, pacing, etc. * How your comic fits the theme (Being) - feel free to be wildly creative with it! When you submit your comic proposal, you do not need to be 100% finished with your comic or your concept. Please feel free to send us unfinished comics, so long as we can get a sense of what your finished piece will look like and what your comic is about. Ideally, we would like to see the gist of your idea, and general layouts or pencils are very helpful. Links to your portfolio, website, tumblr, etc. are also welcome and encouraged. We will announce the accepted list of contributors by the end of June, and then final submissions will be due in December. If you have any trouble with the submission form, please feel free to email us directly at editors(@)dirtydiamonds.net. Deadline: All proposals must be submitted by midnight on May 31st, 2019. All-Girls: Dirty Diamonds is an all-girl anthology, meaning we are all-inclusive. 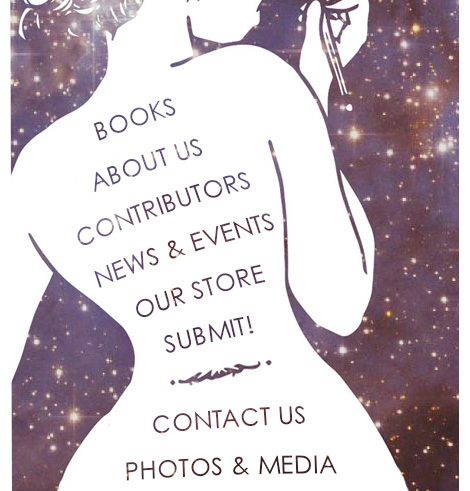 If you are female/femme, we want your comics! If you have any questions, please feel free to reach out to us. Semi-Autobiographical: With each issue, we're interested in showcasing the lives of the artists that create these comics. Semi-autobiographical means we're looking for comics that are true to, or in some way inspired by, your life! Debut: We plan to debut the book at TCAF 2020! Pre-orders will be available through our upcoming Kickstarter campaign (read more under Funding). Funding: We will be launching a Kickstarter campaign in January of 2020 to fund the production, promotion, and distribution of the book, as well as the compensation for all of the contributing artists. More details will be available once we announce the accepted list of contributors and get closer to the campaign's start date. Payment: We will be offering compensation to all accepted contributors based on the successful completion of our upcoming Kickstarter campaign. Compensation is a flat rate per comic, which is shared amongst any collaborative teams. Contributors will also be entitled to a free contributor copy of the completed book and will have the option to purchase additional copies at a discounted wholesale rate. Page Specs: All submissions should be anywhere from 2 to 4 pages in length, and completed in black & white or grayscale. Files should be at least 300 dpi. Try to keep all individual files under 25MB to avoid any issues with your email reaching us, unless you plan to use a file sharing site (such as Google, Dropbox, etc.). Your page dimensions should be 8.5" x 11" minimum. Pages will be printed with full bleed, so please plan for a 0.25" margin on all sides as your "safe zone" if you utilize bleeds in your pages. Any pages with full bleed on any edge should have a final file size of 9.5" x 12" minimum. Templates will be provided! The accepted file types are JPG, TIFF, PSD, and PDF. Creative Rights: All work is owned by the respective author(s). Contributors agree that by submitting, the Dirty Diamonds editors are permitted to distribute their work in perpetuity. In the case of any reprints, contributors will receive compensation commensurate to the amount previously received. Contributors are always permitted to distribute or sell their work on their own after the publication of Dirty Diamonds. No portion of Dirty Diamonds may be reproduced without the permission of the creator(s) or editors, except in the case of reviews. If you have any questions, feel free to send us an email. We can't wait to see your work and join our team!! Welcome to the Death of Dirty Diamonds. ...Hold on. What does the Death of Dirty Diamonds mean?! This book will mark our milestone tenth volume! This is a huge accomplishment for us, but the winds of change are starting to blow... We started Dirty Diamonds in order to give the women of comics a dedicated outlet for telling their stories, and we've seen the comic anthology format blossom and explode with fresh ideas, diverse creators, and innovative projects since we founded our own anthology in 2011. This is everything we ever could have hoped to see in the comics community, and we've achieved so much with the support and care of countless creators, supporters, and readers. But like all great things, this too must pass. That means this will be the final installment of Dirty Diamonds: an all-girl comic anthology. But that doesn't mean it's the END of Dirty Diamonds! We have BIG plans for the future of Dirty Diamonds and we are excited to seek out new and exhilarating ways to promote the work and voices of female and femme comic creators from around the world. So stay tuned, and we'll reveal our grand vision as we approach our tenth anniversary in 2021. We're so appreciative of everyone who has trusted us with their work, supported our books, and cared about our mission, and we're nowhere near done yet. 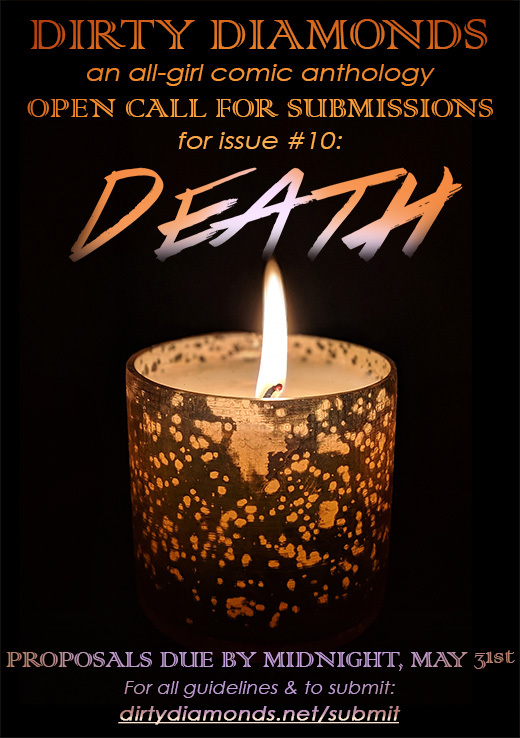 Please continue to help us share the word, submit a proposal, and turn toward the light as this chapter of Dirty Diamonds closes so that a new one can begin. Sign up for our newsletter to be the first to hear about open calls for submissions and other Dirty Diamonds news!